CLICK HERE FOR "QUICK CHANGE CHUCK JAWS" FOR MOST CHUCKS!! SOFT JAWS ARE MACHINABLE SURFACES WHICH MAY BE FORMED TO PRECISE DIMENSIONS FOR THE PURPOSE OF ACCURATELY CLAMPING A WORK PART FOR MACHINING. THEY MAY BE CONFIGURED FROM VARIOUS MATERIALS SUCH AS PLASTIC, MILD STEEL, BRASS, AND ALUMINUM. BY MACHINING THE SOFT JAWS, THE USER MAY INSURE ACCURATE LOCATION OF A WORK PART DURING A MANUFACTURING PROCESS. HARD JAWS HAVE MANY OF THE CHARACTERISTICS OF SOFT JAWS. HARD JAWS ARE MADE FROM STEEL WHICH MAY BE CASE HARDENED INSTEAD OF A SOFT MATERIAL WHICH MAY BE MACHINED. HARD JAWS OFFER LONG LASTING SURFACES WHICH MAY OR MAY NOT HAVE SERRATED TEETH ON THE GRIPPING SURFACES. THE TEETH OFFER GREATER GRIPPING CAPABILITY OF MATERIAL WITH NON-UNIFORM SURFACES. QUICK CHANGE JAWS OFFER CONVENIENT TIME SAVING JAW SURFACE INTERCHANGEABILITY. THESE JAWS HAVE A FEATURE BY WHICH THE USER MAY CHANGE JAW SURFACES QUICKLY AND ACCURATELY. IN SOME CASES THE USE OF QUICK CHANGE JAWS MAY ELIMINATE RE-MACHINING FROM ONE USAGE TO THE NEXT IN MANUFACTURING PROCESSES. WWW.E-JAWS.COM WEBSITE DEVOTED ENTIRELY TO CHUCK JAWS OF ALL TYPES. WWW.LATHE-CHUCKS.COM WEBSITE DEVOTED ENTIRELY TO FINDING ACCURATE LATHE CHUCK INFORMATION. 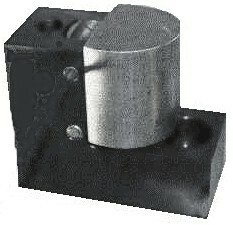 WWW.MILLVISES.COM WEBSITE DEVOTED ENTIRELY TO CHOOSING THE CORRECT PRECISION MILL VISE. WWW.WORKHOLDING.COM MANUAL AND POWER CHUCKS, COLLET CHUCKS, VISES, TOOLING COLUMNS AND MORE!